With a jam-packed schedule of shows dispersed across the city, a grab-and-go meal is the most likely scenario for New York Fashion Week attendees. But private chef Woldy Reyes (who worked in the fashion industry prior to starting his career in food) has a different idea. His healthy, New York City-based catering company draws inspiration from his trips to the local farmer's market. 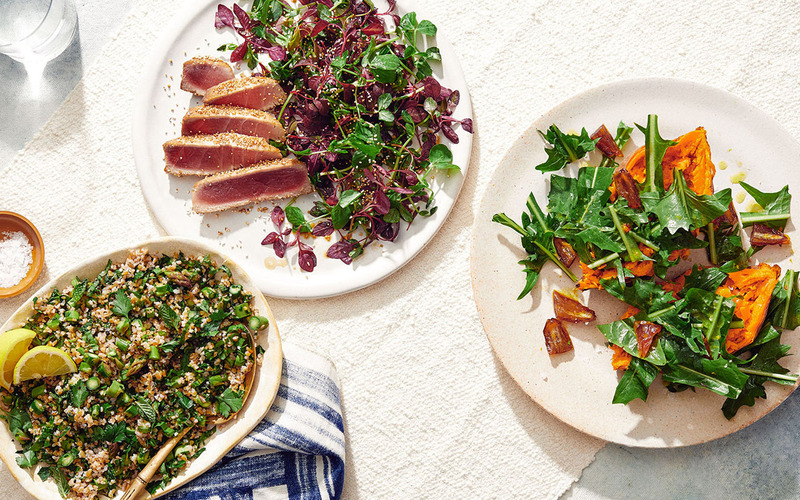 Reyes offers his clients such as Rebecca Minkoff, Derek Lam, and Christian Louboutin delicious, seasonal dishes that are loaded with color and texture. Here, three to try now.